Now a more rooted segment than in their younger days, the Gen X consumer is primed to be a long-time member. Here's how to get them to join your club. With all the focus many fitness businesses place on attracting Millennials and reeling back in Boomers, Generation X is often left as the “middle child” caught between the two largest generational groups. Data from the IHRSA Health Club Consumer Report gives cause to reconsider programming and marketing efforts across generational groups. According to the report, Gen X’ers are steadfast health club users. 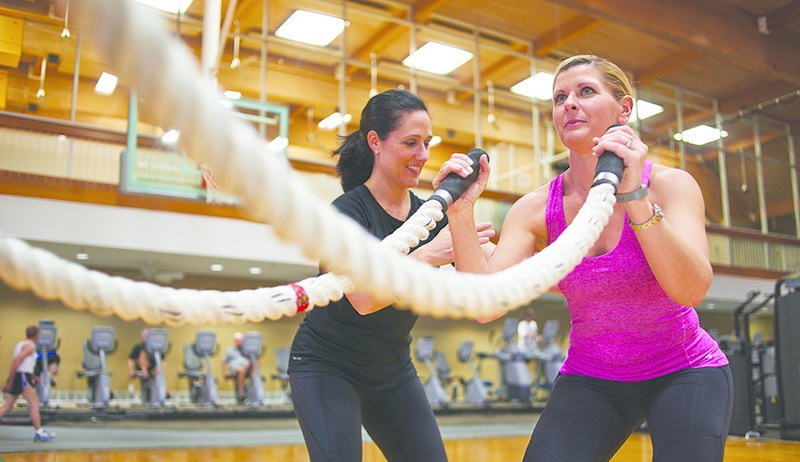 The percentage of members between the ages of 35 and 54 has remained steady over the past five years, accounting for 33% of health club members. Given their stage of life, Generation X has the potential to be loyal, long-term members who value their health and wellness. 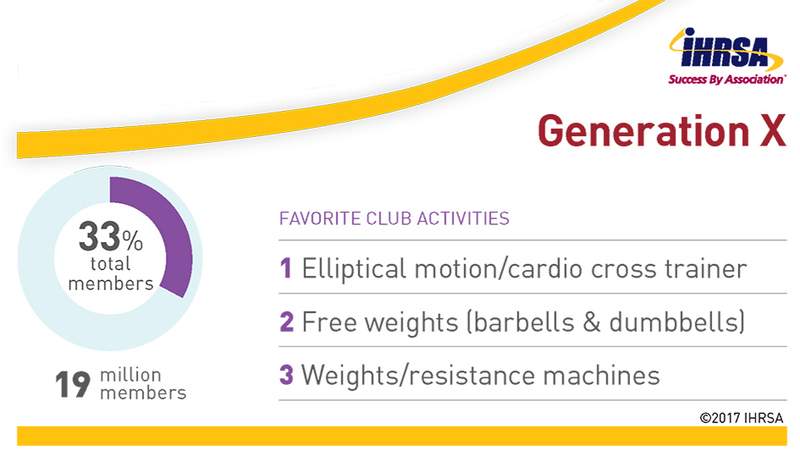 Remember, Gen X’ers came of age during the dance aerobics/fitness movement of the 1980s and were some of the early adopters of still-popular exercise equipment like the elliptical and resistance machines. So they’re likely already sold on the benefits of regular exercise. Consider a few initiatives to attract and maintain Generation X. According to the IHRSA Trend Report, lack of time is one of Gen X’s top barriers to exercise. Gen X’ers face the daily challenge of balancing work and family responsibilities (often on both ends, taking care of young children and aging parents). Their health club serves as an ideal “third place” to relieve stress, improve energy, and stay healthy, physically and mentally. Offering shorter classes or training sessions (perhaps 20 or 30 minutes in duration) may help them fit in a workout during their lunch break or right before work. Now a more rooted and fixed segment than in their younger days, thanks to a stable occupation and family, the Generation X consumer is primed to be a long-time member. In 2016, Gen X’ers between the ages of 45 to 54 were health club members for nearly a full year longer than the average (5.7 years vs. 4.8 years). Using a loyalty program to encourage and incentivize usage may help retain this group. Although the fitness goals and needs of their children vary from their own, Gen X’ers and their families often have more time in the summer to engage in physical activity. If you have a multipurpose club with sports facilities, consider hosting sports tournaments with teams formed by family members. If you operate a fitness-only facility, consider offering a summer fitness challenge aimed at increasing and incentivizing family fitness. Learn more about IHRSA’s 2017 Health Club Consumer Report, which provides a comprehensive analysis of member growth, behavior, club activity participation, and demographics.